María Clara Ricaurte is a graphic designer who lives and works in Madrid. She graduated in Editorial Design and Management in Colombia, her home country. Her professional career began in the company Villegas Editores, one of the most prestigious publishing houses of art books in Latin America. She was appointed Artistic Director of Semana, one of Colombia’s most prestigious and influential magazine in Politics, Economy and Cultura. In the field of design and interior decoration she has held posts of responsibility while working for governmental and private institutions in Europe and Latin America. Her curiosity, love of diverse cultures and passion for travelling are reflected in her visual creations which fuse oriental decorative art together with the exotic, artesanal colours of Latin America and the sophisticated symmetry of the Islamic world. Through “yotevistomaría”, she has distributed in Spain and Portugal a variety of accessories and fashion complements manufactured in Brasil, Mexico and South East Asia, in which a halo kitsch, avant-garde and modernity are continually touched. In Spain she has collaborated in various cultural and artistic projects such as the Studio Manual created by the North American artist Ryan McGiness. Her creative passion is now reflected in her own personal projects. Carmen Peña is a visual artist who lives and works in Madrid, Spain. She graduated in painting from the Faculty of Fine Arts of the Universidad Complutense of Madrid, where after completing PhD courses, she spent some years as a faculty lecturer in Graphic Design. Wishing to widen her knowledge and pursue other experimental fields, she undertook further studies in visual arts in various European countries. being a student residing in the Academy of Fine Arts of Perugia, Italy, where he worked in several disciplines that influenced her in her personal way of understanding art which turned her into a multidisciplinary artist. A post graduate scholarship enabled her to study at the Warsaw Academy of Fine Arts under the guidance and mentorship of the poster designer Henryk Tomaszewski. On her return to Spain, she opened her own studio and her work has achieved international status and has been published and awarded in the USA, the UK, Poland, Australia, Finland and Japan. Her creative passion has led her to a moment of eclosion in which her creations incorporate establish a fusion between art and design, transmitting her personal experience in a world of sensations founded on a personal narrative full of creative passion and emotion. CEDOSTOPÍA Madrid, a project created in 2016 by Carmen Peña and María Clara Ricaurte as a utopian dream inspired by the creative urge of its founders born of their passion for all creative worlds, from architecture to fine arts, from the cinema to literature. In CEDOSTOPIA everything converges to establish the equilibrium between art and design. 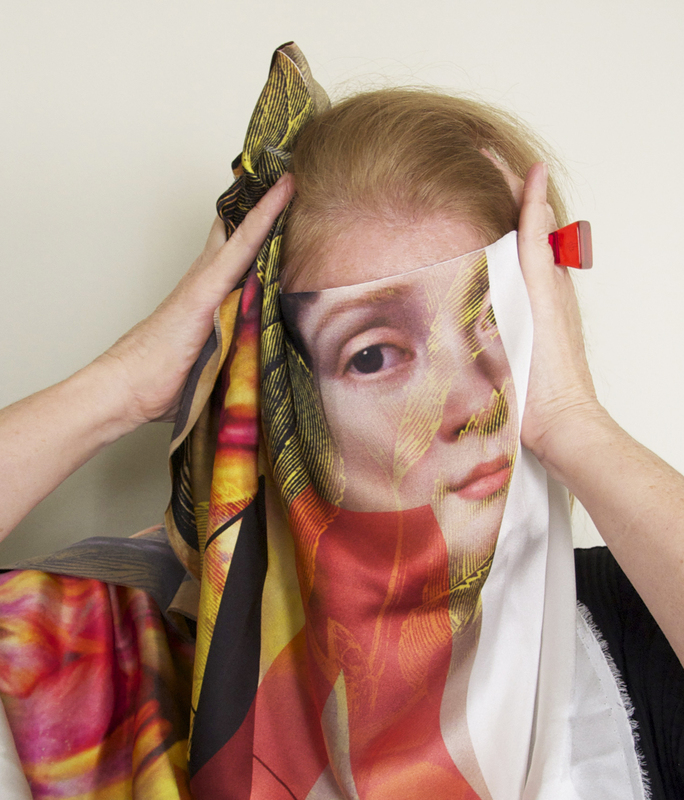 Their collection of designer, silk scarves goes beyond the concept of a mere fashion accessory to become unique objects adapting themselves to the personality of whom wears them, by wrapping the body in a thousand ways thus creating highly personal and creative stories. 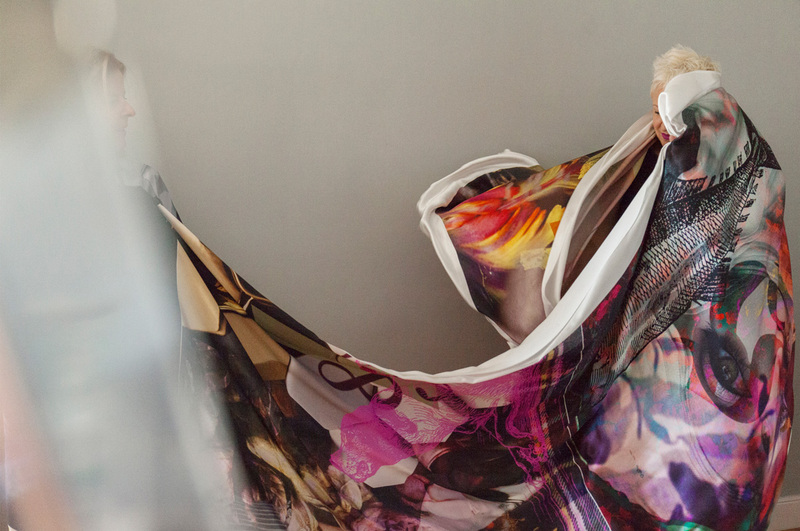 They are made of 100% natural silk, printed, crafted and hand sewn by Spanish artisans. 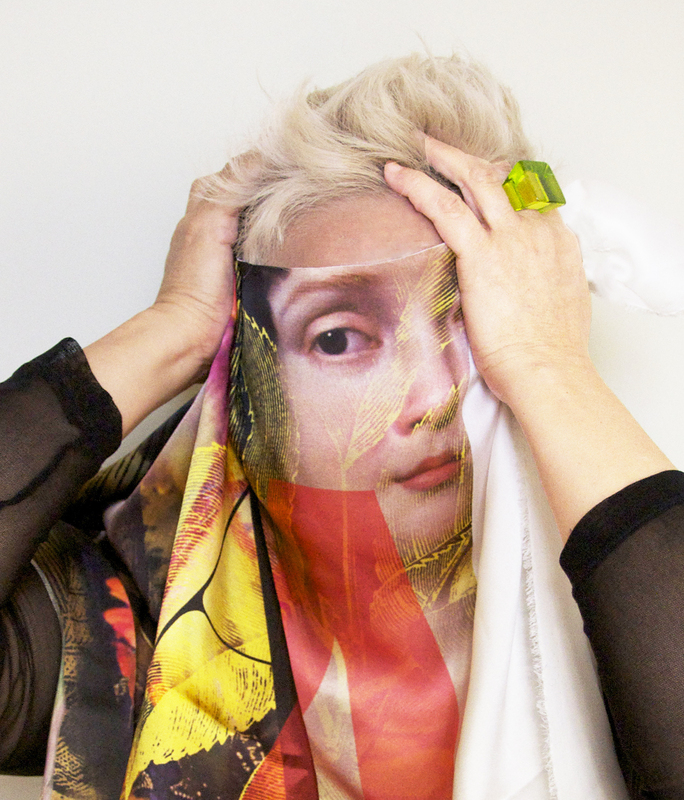 CEDOSTOPÍA creates exclusive collections and customises designs for clients who desire an extra personal touch as well as expanding its activities to explore other artistic avenues of art and design; always reaching beyond the boundaries of the scarf.